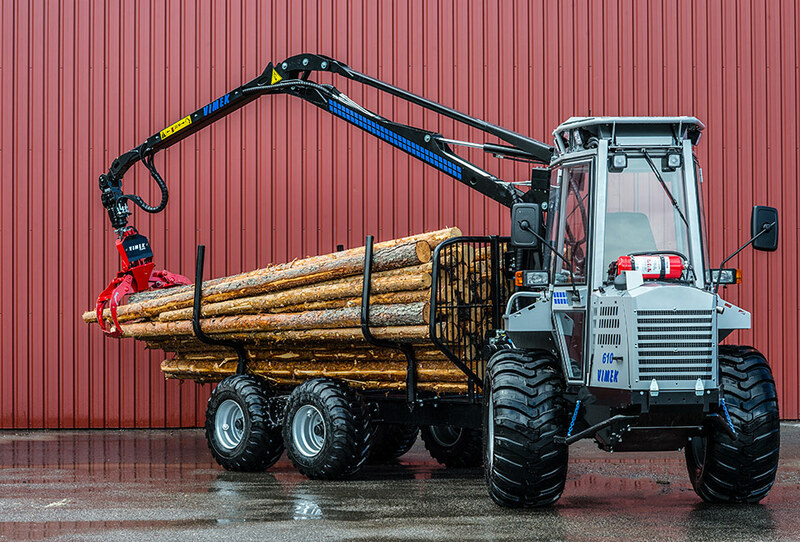 Vimek 608.2 BioCombi is the most effective machine for thinning, felling and transport of bioenergy. Now with increased loading capacity to 5000 kg, a new and powerful engine with 60 HP from CAT and modern hydrostatic transmission from Bosch Rexroth. The increased working hydraulics gives improved and precise crane movement.